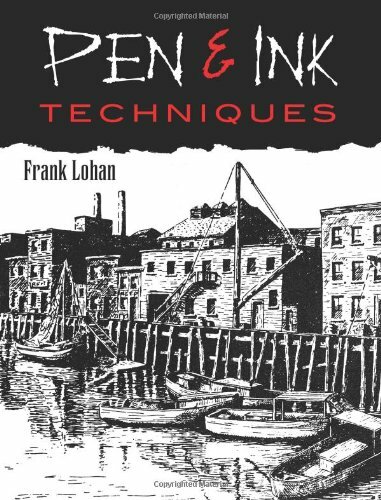 This is a simple and straightforward book for anyone who wants to learn drawing with pen and ink. Half of the book is in tutorial style with techniques that are easy to follow. It covers the usual types of line hatching and more importantly how to make your illustration more picturesque. The other half of the book is sort of a gallery but rather limited in variety. Still there are plenty of accompanying tips. This book covers mainly drawing architectural stuff, animals, boats, the usual topics cover by pen and ink. The coverage on portrait drawing is limited at best, and the result doesn't seem too good either. It's a quick start guide recommended for beginners. Hey Parka, I was looking through here trying to see if you had reviewed this book or if there was a place to suggest book reviews but couldn't find any (I hope I didn't give up my search too early?). I'll keep that book in mind. You can suggest book reviews on the forum.